One year I found my self doing a lot of digging both by hand and with my skid loaders. I realized at this moment in time it was time to add a Mini Excavator to my team of machines. I work alone so my machines are an extension of my crew helping me get the job done with out wear and tear on my body. 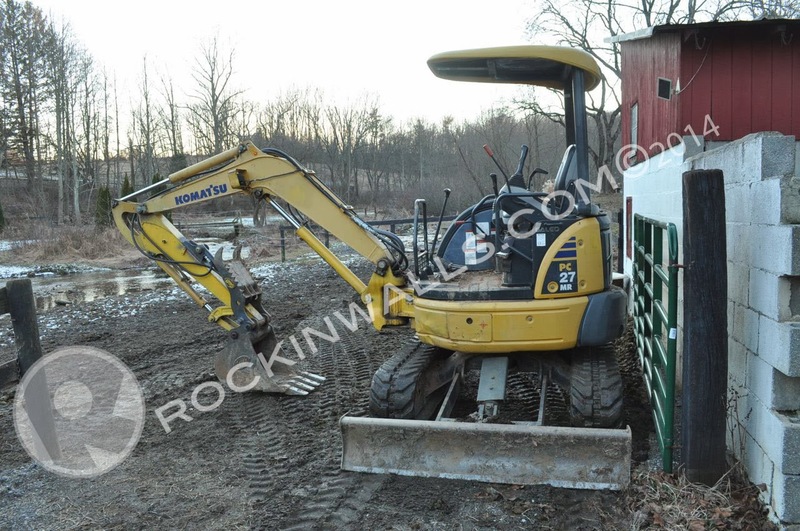 If your asking why not consider a tractor loader backhoe? Speed would be my first answer. The next question I would ask you did you ever have a 3 in 1 Fax machine? Copies, faxs and phone? I did - it did each task ok but not great. A mini is a true digging machine the speed at which you can work blows a backhoe out of the "dirt" - lol. I consulted my good friend Jason who is 3rd generation excavator. He helped give me a few helpful suggestions when looking for a machine. Buying a Mini Excavator / Compact Excavator is not as easy as it might seem when it comes to research. First issue I came across was standard model or # system to understand what I was looking at when comparing models. I was all over the place trying to determine what my options were. So frustrating. Which is why I needed to write this blog - to help someone else. This is my list which helped me narrow down my search. Digging Depth - is simply how far down you can reach. I wanted the furthest reach with in my Machine's weight class. Tail Swing - Conventional Tail Swing Model VS. ZTS Zero Tail Swing. As you can see below with a conventional tail the rear of the machine hangs over the treads and sticks out. This type of machine is good if you have big open spaces to work in. I was looking for a Zero Tail Swing since I would be working close to walls. A ZTS lets me get close to structures with out bumping into them. Not to mention my buddy Jason told me to avoid a conventional tail for my line of work. Numbering system? I found most of the manufactures to list out #'s for example Bobcat E32 = 33.3 hp or Komatsu PC27 = 25.7 hp. This is not the case with all models Kubota KX71 = 25 hp ??? Now at least this is one starting point to help guide. Pricing - Used units can start around $15,000 - $24,000 and go up from there. Conclusion - After spending alot of time looking at all kinds of sites I narrowed down my search to Deere 27 c/d = HITACHI ( really like this machine Hitachi seem to last for ever) Komatsu, Yanmar = I liked Yanmar just because of the price plus you'll notice Just About everyone uses Yanmar engines. What does that say. 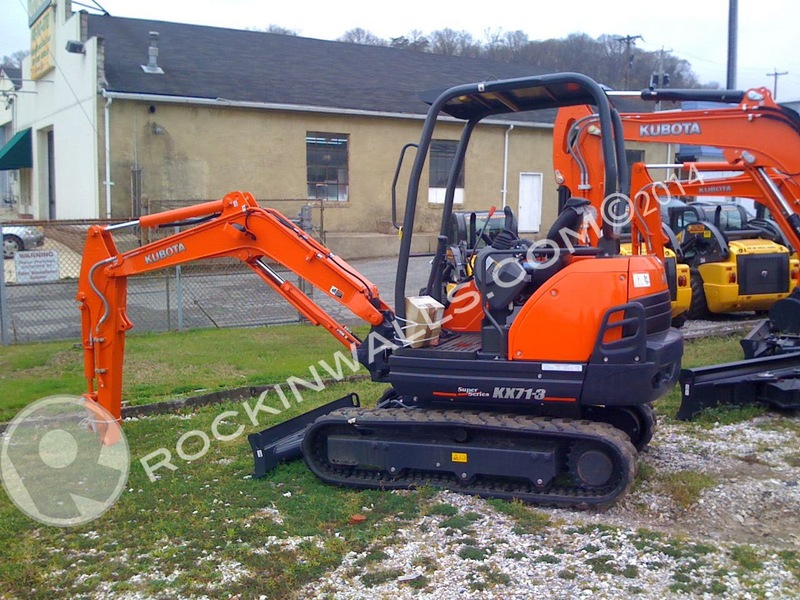 I had tested a Kubota but they didn't have a ZTS machine at the time - extremely smooth on the hydraulics. I was looking at a few Bobcats not bad I'm just not sure how I feel about Doosan buying them out. Seems like some of the things I was reading many didn't seem to have much confidence in the quality of the machines in the last few years (just what I read on forums). I also liked the Caterpillar machines - the biggest issue was the machines in the class I was looking were to big or to small. The unit I did test I wasn't that impressed with the movement of the machine didn't feel smooth - could have just been that machine. I was also a little frustrated with my local dealership who suggested I come down only to show up to find they had nothing for me to check out. Then the salesman for my territory treated me like I was asking for to much looking for a used unit in the $20,000 range (I had found several on the internet at dealerships). He gave me no sales liture just brushed me off since I didn't have $$ BIG Cash to spend on a new unit. Then we stopped next door to look at Deere - really no luck there so then my good buddy Jason who was helping me out suggested we head over to his local rental store to see if they had anything they wanted to sell. Yes they did! 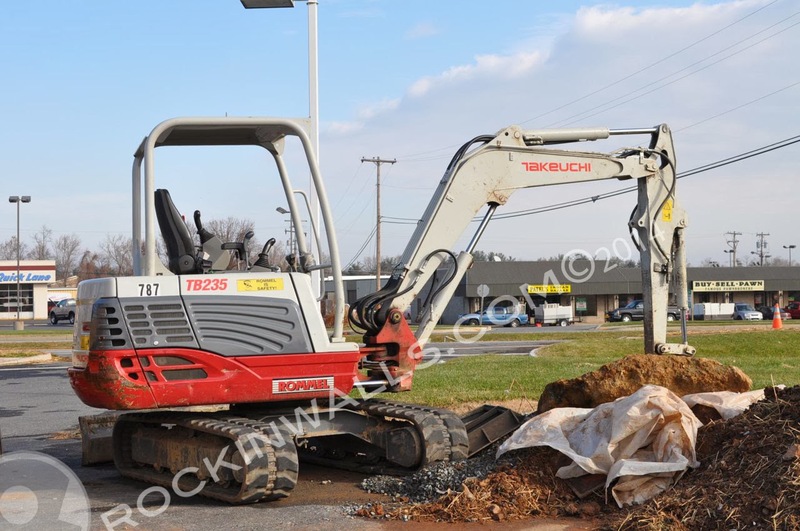 ABC Rental in White Marsh a few Yanmar's and Komatsu. It was great the owner and the GM both came out to show me what they had to sell. Night and day with the customer service - keep in mind these guys rent machines not sell them. 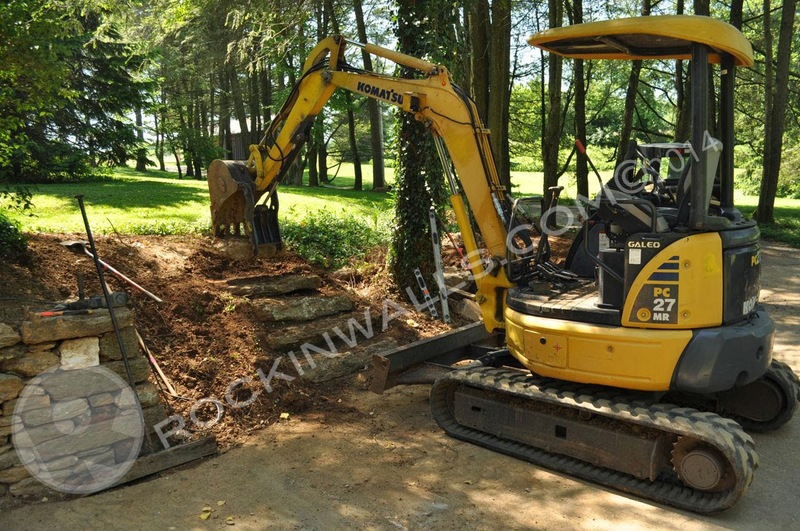 Top notch customer service... (I own a Franchises Motorcycle dealership - I understand the value a salesperson not a salesman) I picked up a Komatsu PC 27 with a 9ft dig depth, 6590 pounds, open cab, 1500 hours. I added a Geith Bucket to go with my Geith Thumb. Total game changer for the services I now offer. But my Back loves me even more! A rental shop can always be a great place to start. The machines might not look great but they are always serviced so they are extremely reliable. They have to be this is how they make there money. I would always suggest renting a unit before buying one to keep your operating costs down. Plus it lets you try out a bunch of machines if you do plan to buy. If you find you could really use one then buy it. Not like many who always say rent rent rent. I do agree but I don't - a rental cost $2000 a month I only work part time on my jobs. Having my own machine allows me more flexibility to use it or not. To me a rental is a waste of money. But if you don't have the funds to buy or the need rent and just factor it in to your quote. I could go into to more specs more options.....I won't. I did seem to read on alot of forums that suggest manufactures have only a small handful of builders in Japan make there machines and put there name on it. This wouldn't surprise me in these day in age. 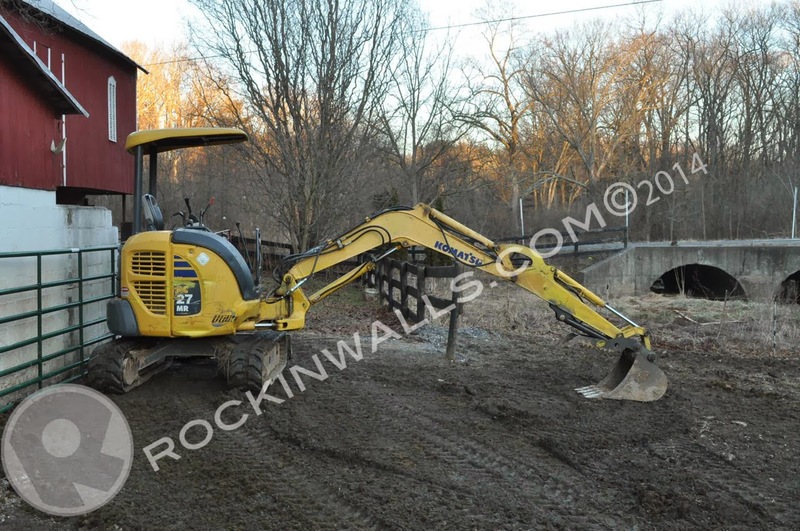 To read more check out this thread on Heavy Equipment Forum. Thank you for reading my Blog. I hope this helps those in need of good content. Please feel free to comment if you have any suggestions, machines you use and love..... All are welcome unless your SPAM! Thanks for posting this Mark. I am in the market for the same reasons as you were….too much hand digging and moving rocks around puts a strain on your body! Plus, I am sure to get the work done much faster. I am a little hesitant about a used machine. Did yours come with some kind of warranty? Hello Bill, First thank you for reading my blog, and second for commenting....With that being said your welcome with this post. As you can see I was so frustrated when I started looking because I didn't know anything. Not even how to operate one! I can see you've been at stone work (Earth and Stone Masonry) much longer then me. I know your back feels those years adding up. By the way nice work..cool you have the You Tube videos also. To answer your question about hesitation. I agree - My other business I sell motorscooters new and used www.MotoStrada.com. I always get frustrated when someone comes in with a scooter they bought used but didn't look at the basics. After we fix it up they could have just bought one from me. So with that in mind I get it. But I would suggest if you can find a rental shop or a used unit with around 2000 hours your still good to go. I really liked the Deere since it was the size I was looking for 27C and I could find them in my price range under $20,000. If you can find a dealer selling a unit local that would be a good way to go. I would avoid Auctions - you don't know what your getting. Or a private seller who is up grading or going out of business. I got no warranty with mine. They took care to go over it. Look to make sure you have good tread, all your mechanics work with the arm, steering... look at the engine see if you notice any excessive leaking. I looked at one Yanmar great price but just looking at the engine I could see oil all over the place. So if you got the cash to buy new great. I don't think you'll have a hard time finding a nice used unit. MAKE SURE you buy one that you can get serviced or parts from a DEALER locally. A good bargain unit with no local support is as good as playing the lottery. Please be sure to post back when you find one, maybe you could help add some more content to this blog. Don't hesitate to call if you have any questions.